How can i tell how many hours are on a boat? Hello, I have a 2001 Wakesetter LSV and it had a factory perfect pass on it that held the hours. I had to replace it and was not able to see the old hours on it to transfer them over to the new perfect pass. Now i want to sell the boat but don't know how to tell how many hours are on it. Can anyone tell me another way to tell the hours? An Indmar shop should be able to plug their computer in to the ECM & get the hours, along with any codes it may have thrown. Do you have the Lowrance air water temp digital guage? It will have hrs. Speaking of this, how accurate would this be? My old odometer hasn't worked for ages, you think this would be a reliable source? 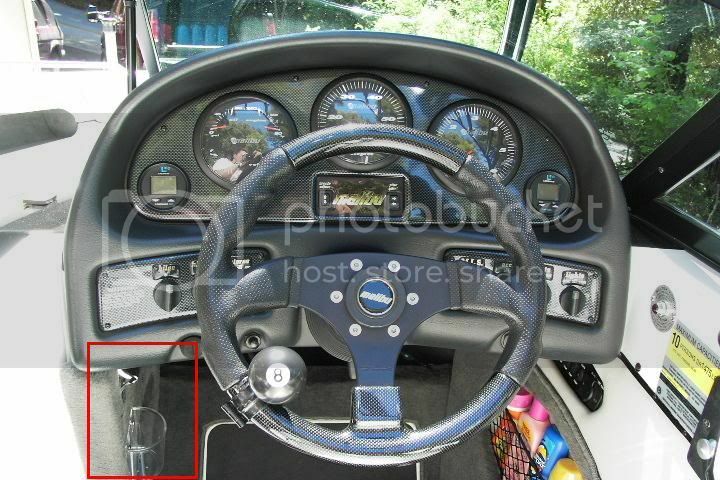 I don't know how an odometer (which measures miles) is gonna help with a boat that measures hrs. of engine run time. But, as long as the gauge (whichever it is) was installed at the factory, it should be pretty damn accurate. The lowrance may run when key is on not like the speedo w integrated hour meter. Just plug your old gauge in it should read correctly. Did your 01 have mscan or whatever that multigauge was called? The lowrance may run when key is on not like the speedo w integrated hour meter. I have the factory Lowrance gauges. The hours meter on it does not run when the key is on - mine would be crazy high if it did. My guess is he doesn't have these gauges. Hours can still be pulled from the computer with a scanner. I do have the original depth finder on it and i believe its the lowrance. And no it doesnt have the maliview. ITs just the standard gauges that giggle when you turn the key on and the older paddle wheel perfect pass. Example of Lowrance gauges from that era. Don't pay any attention to the red box.